While tissue slicing for biochemical studies of liver, kidney, and brain has been practiced since the 1920s, it was not until the mid-1960s that this technique became a useful tool in the hands of electrophysiologists and pharmacologists. Yamamoto and McIlwain (1966) were the first to show that mammalian brain (prepyriform cortex) slices maintained in vitro exhibited electrical activity comparable to that obtained in vivo. Along with cell cultures, brain slice preparations are the most used in vitro systems in the field of cerebral hypoxia-ischemia (CHI) and thus are considered to be an acceptable model of this brain disorder. To objectively weigh and scrutinize the use of the brain slice preparation as a model of CHI, basic knowledge and understanding of the technique are required. 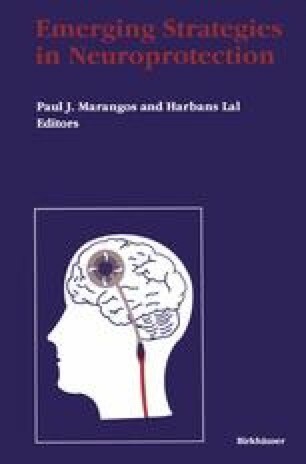 Therefore, this chapter opens with the fundamentals of preparing brain slices, their maintenance and function measurement. The various responses of brain slices to insults by hypoxia, ischemia, hypo- and hyperglycemia, excitotoxins, and acidosis are followed. With this information in hand, the potential of brain slice preparations as models for neuroprotective pharmacology is assessed in the last third of this chapter.